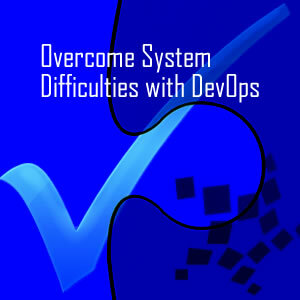 DevOps is an approach to IT practices which increasingly ideal to be used as the culture. This culture of work is intended for situations that require continuous development and renewal in the IT field. DevOps work patterns are combining part of the developer (Dev) and operations (Ops) in a collaborative environment. So that testing modules or additional features can always be tested together, before being released to the public. The most important principle of DevOps is, to develop and perform continuously, testing and get feedback from the operational as well as from the end users. So the quality of the application is maintained and fulfill the requirements of the system. It can be called as a pipelines. The purpose of DevOps is to accelerate the creation of the new features on your system continuously without having to worry about causing systemic problems. To overcome the difficulties of the system, there are some tools that can be used. One of them is the Docker. A containerized platform that can isolate development, testing and delivery process of the application, thus it will minimize any risks. The mindset of DevOps can help an organization move more quickly in facing changes, in line with the demands of technology. Docker is a ‘tool’ that needs to be used. With Docker, you do not need to worry about various different platform that running on your system. Docker system uses insulation on each container, so that if a module is not running as it should then it does not cause widespread damage. Problems in the development of IT systems often appear as developers (Dev) are convinced that their codes are correct and can be run. On the other hand, operations team (Ops) felt that it was not yet stable to systems. In the past this was done separately, but now it can be integrated in DevOps environments. So before releasing features, testing can be done faster and if both parties agree it is stable, then it can released. Currently, this is one of most effective way to overcome IT complexities. A courier and cargo service company that serves the retail and corporate. To win the competition, they decided to “underground-attack” to each client’s offices. They intend to create a special module for an office building where many potential client there. So if there are any shipping needs, the client’s employees able to access an online application to make a delivery requests. Sounds good enough right ? Of course, before the application is running, the company has rented an office, warehouse and parking spaces so that their customers can feel the speed of their service. However, if the development takes too long or too often causing problems, of course, this affects the overhead costs. To overcome those problems, that company can use the concept of DevOps and using Docker as working medium to their development team and their IT operation team. With DevOps mindset, problems can be identified before it releases, and if a problem occurs after released, it can be repaired faster. This is because The DevOps workflows require continuous monitoring into entire systems and applications. And also by using Docker, implementation at operational became faster and efficiently with portable natures of Docker. Other examples can be found on marketplace business, online transportations, online ticketing, online food ordering, multi branch office / store outlet, and all organization using Internet for their operations. Downtime is not an option right now, because it can causes a company lose their revenue or spend more expenses. As You can see many startup companies, which surpassed “the old company”. One of their secret key is adopting DevOps culture and orchestrating several DevOps tools. Elitery has wide experience in assisting many clients for IT transformation and DevOps Automation, both in Indonesia and abroad. With team of experts who have varieties of educational backgrounds and experience, Elitery can be your reliable and trusted business partner in the era of rapid digital transformation change. With us, your business will be the market leader by applying the concept of DevOps which make the process more efficient and effective.